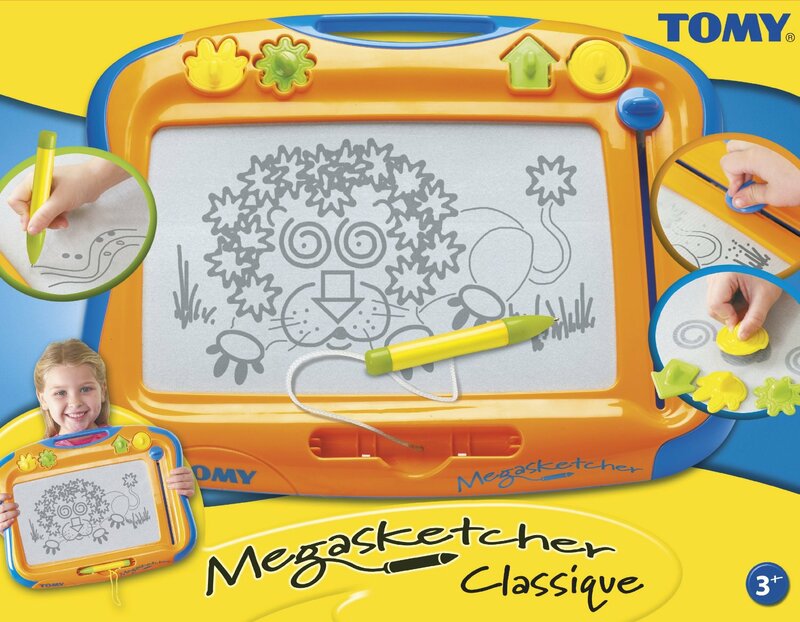 Children love to draw, and the Megasketcher from Tomy is a fun, clean, and tidy variation on the traditional pencils and paper. The Megasketcher measures roughly 45 x 30 cm (18 x 12 inches), with the magnetised 'screen' taking up most of the surface area. 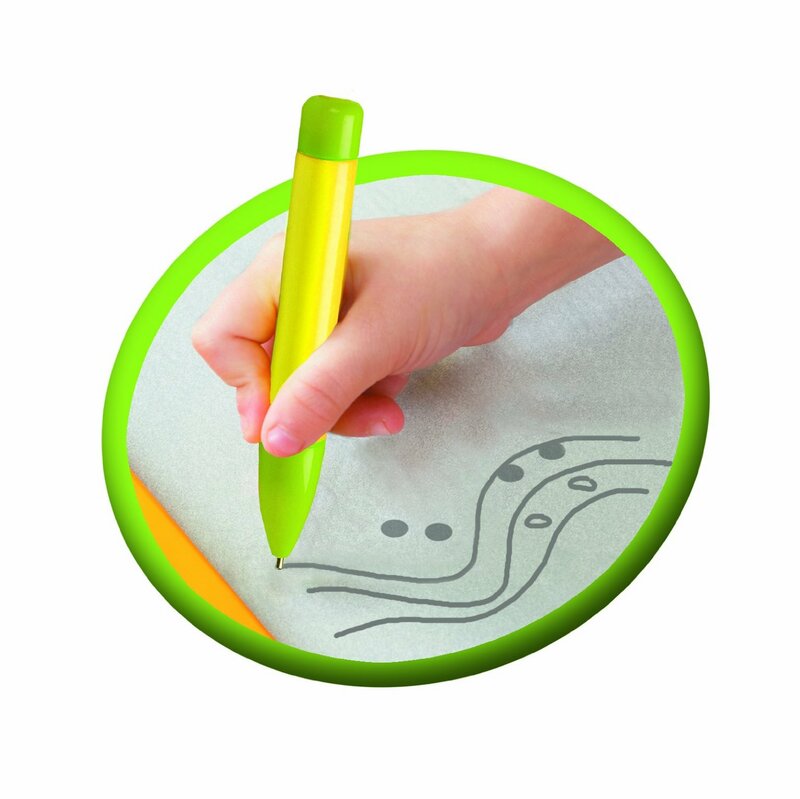 A magic 'pen' (attached by a piece of string to avoid losing it under the sofa) allows children to draw, scribble, and write, while the four magnetised stamps add a different dimension to youngsters' designs. Once a composition is complete, or if one too many mistakes have been made, simply pull the eraser lever up and down and it wipes away the redundant drawings. This kind of drawing aid has become a firm favourite, thanks mainly to its ability to be used over and over again no matter how many mistakes are made. 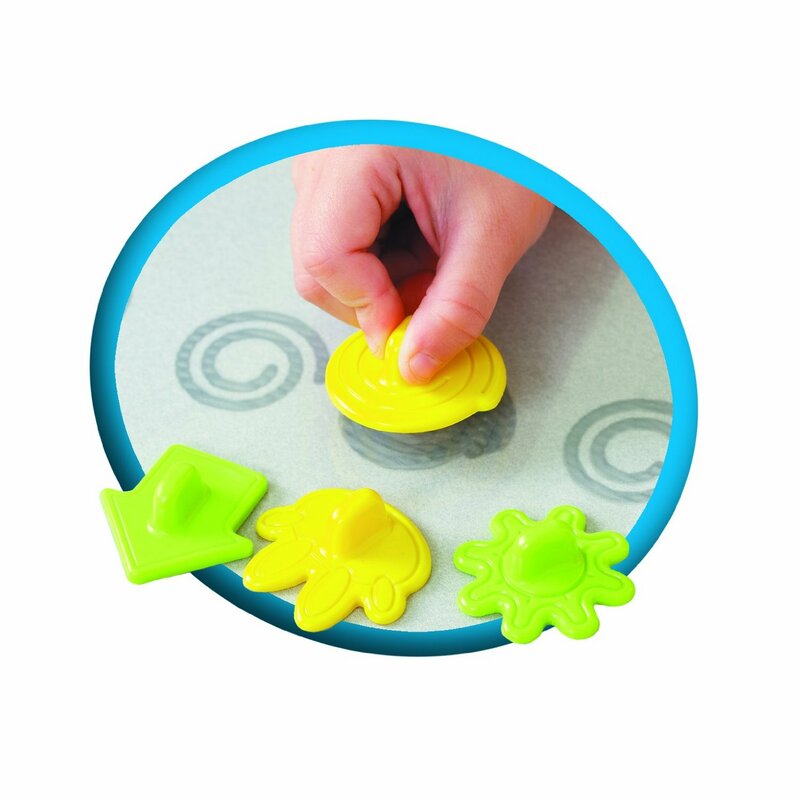 The Megasketcher is a fun, practical way of developing artistic awareness, creativity, and fine and gross motor skills in children, and is perfect for long car journeys or rainy afternoons. Suitable for children aged 3 years and over. The Megasketcher measures roughly 45 cm x 30 cm (18 in x 12 in), with the magnetised "screen" taking up most of the surface area. 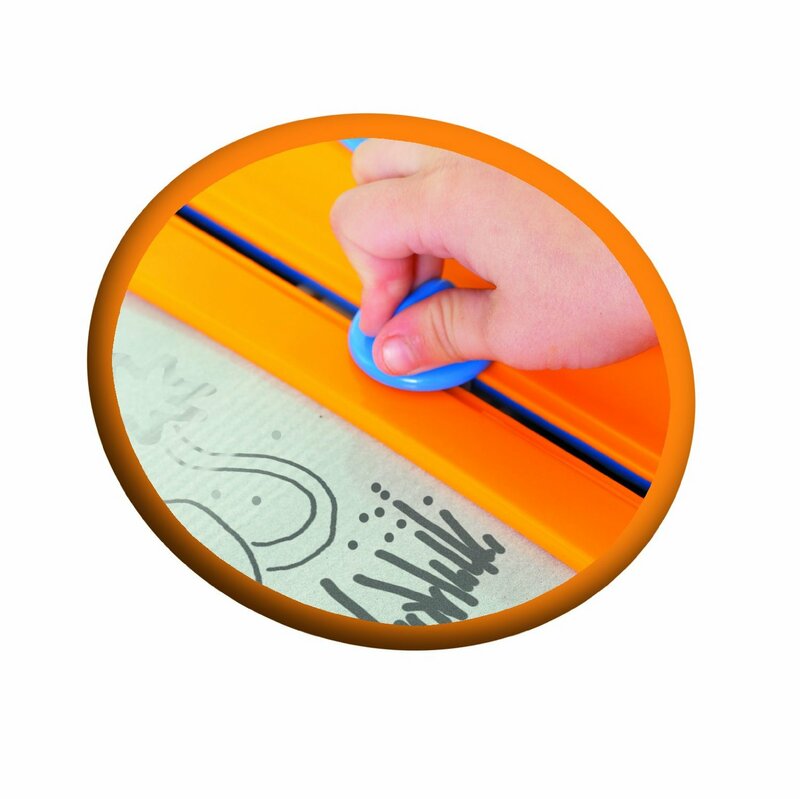 A magic "pen" (attached by a piece of string to avoid losing it under the sofa) allows children to draw, scribble and write, while the four magnetised stamps add a different dimension to youngsters' designs. Once a composition is complete, or if one too many mistakes has been made, simply pull the eraser lever up and down and, hey presto, it wipes away the redundant drawings. 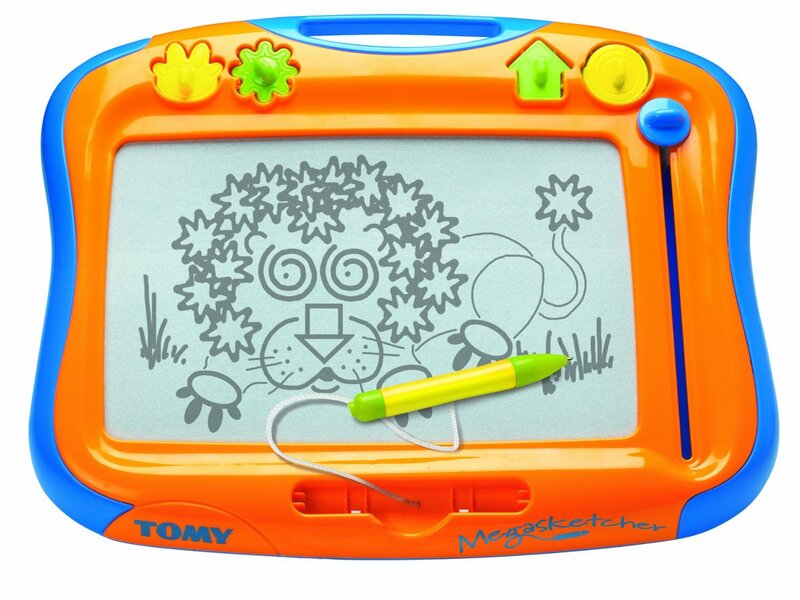 The premium screen of this much loved classic allows budding artists to draw clear, crisp pictures. The pictures magically disappear with a sweep of the screen eraser. The Megasketcher pen draws thin lines and four shape stampers are included to inspire their artistic creativity. Recommended for ages 3+.